A recent program held by the Pima County Real Estate Research Council (PCRERC) featured speakers entrenched in commercial real estate and investment south of the Arizona-Sonora border in the state of Sonora, Mexico. Presentations opened many eyes about the opportunities for U.S. companies and individuals to locate and invest in Sonora. Beyond proximity and ease of access (only 60 miles from Tucson), PCRERC's moderator Jim Marian, CCIM of Chapman Lindsey Commercial Real Estate, highlighted Mexico's growing prominence in the global economy, currently the world's 14th largest marketplace, with a $1.2 billion GDP. 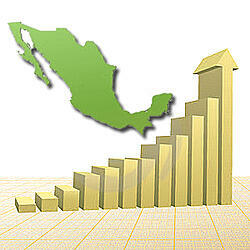 Mexico is the number one maker of television screens and exports more automobiles than Japan, Korea or Germany. Citing the World Bank, Marian states that Mexico outranks BRIC countries China, India and Brazil in ease of doing business. 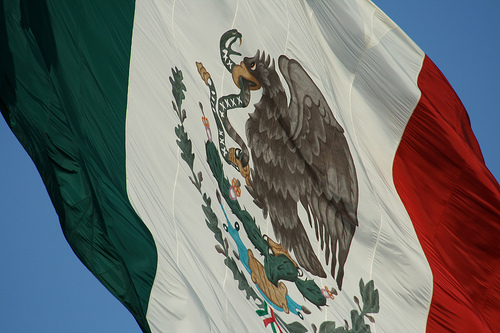 Half the U.S. firms going into Mexico have no representation, Hammond states. He highlights well known U.S. companies with a presence in Sonora, each with hundreds or thousands of employees in the region: Rainbird, The Offshore Group, B/E Aerospace, Sargent Controls, Chamberlain, and Kimberly Clark among them. Hammond cited a conversation with an executive who indicated Motorola can hire a high quality, mid-tech engineer at $40,000 annual salary, whereas the comparable U.S. employee salary would be $100,000. Another recent post on PICOR Connect features a number of positive economic drivers occurring in the Arizona-Sonora border region. Other featured speakers included Bruce Greenberg, Managing Director of Deloitte Mexico, Terry Klipp, President of Terramar Properties, and Kurt Geisler, Long Realty Rocky Point. Greenberg provided a data-rich presentation: "Made in North America," and stressed trade expansion opportunities and the importance of relationships in Mexico to ensure success. Geisler outlined the residential market and tourism in Rocky Point (Puerto Penasco). Click for information on Pima County Real Estate Research Council and for information on C&W | PICOR's brokerage activities in Sonora, Mexico. Barbi Reuter, RPA oversees Cushman & Wakefield | PICOR’s operations, research, finance and marketing/social media activities, liaises with the global services platform, and serves as Associate Broker. One of 13 company Principals, she is active in industry and community leadership, through such organizations as Commercial Real Estate Women (CREW), Greater Tucson Leadership, Arizona Town Hall, and board work for the Tucson Girls Chorus and PICOR Charitable Foundation.